Get ready to load up on some seriously fun Boys Bedroom Decor Ideas! 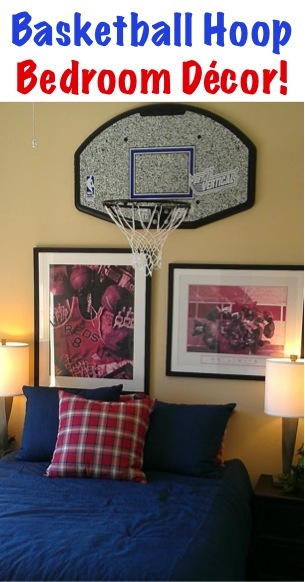 Are you decorating or updating a bedroom for your boys? You’ll love this BIG List of Fun Boys Bedroom Decor Ideas! Get inspired with these fun Bedrooms your guys will LOVE! 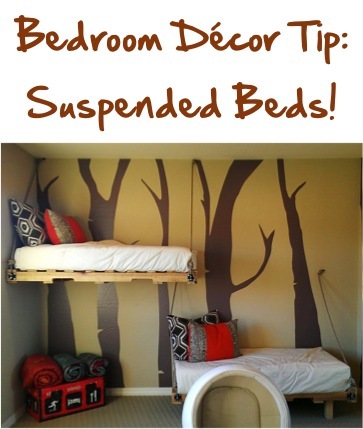 Bunkbeds are fun, but these suspended beds take fun to a whole new level! Use Tree Vinyl Wall Art to make a fun statement on the walls! For boys that love BMX, hang a bike or wheels on the wall for added depth and unique decor! Don’t forget a fun BMX Throw Pillow on the bed! BMX Wall Decals also make a fun statement on the walls… on a budget! Brick Print Wallpaper makes a fantastic statement used on just one wall! Use Letters to spell out the word “RIDE” and hang from the wall, or display on a dresser. If you don’t have enough space for a full-size foosball table, Tabletop Foosball is a great substitute! It can easily be stored on a lower dresser or bedroom table. Be sure to check out more Cool Bedrooms for Teen Boys! 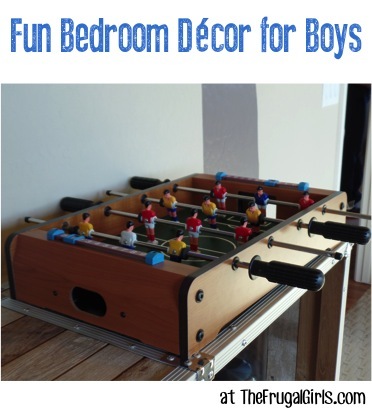 Most importantly… involve your boys when decorating their rooms and have FUN together making their space extra special! Got some fun Bedroom Decorating Ideas for boys? Thanks for sharing amazing and unique ideas with us they all are pretty and looking very nice.